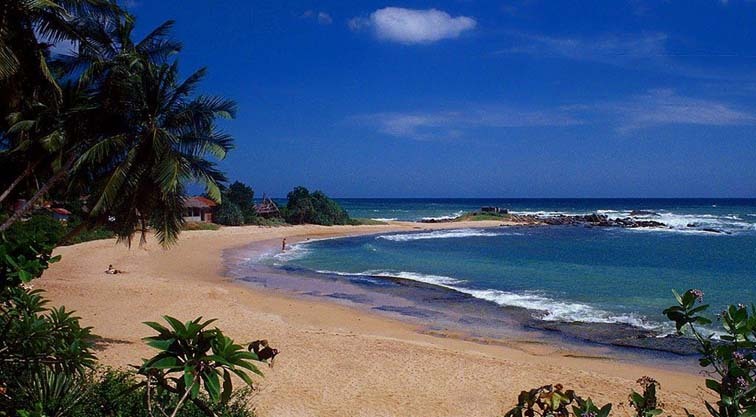 Honeymoon in Sri Lanka – Not us! I will shortly be attending the wedding of my niece, with a reception in a swanky hotel and country club, from which they will fly to Sri Lanka and on to the Maldives. Or possibly the Seychelles, or Mauritius, or somewhere similar with palm trees and sand. My daughter took her honeymoon in the Dominican Republic in preference to Antigua. Not us. Our honeymoon was taken at Smilie’s where we were dropped off following a reception at Rayners Lane Scout Hall at which my new brother-in-law repeatedly played “House of the Rising Sun” by the Animals on a Dansette record player. You can guess which decade. Not that I am bitter that I missed out. Much. But Smilie’s was not an acceptable substitute for Sri Lanka. Smilie owned the terraced dwelling where we rented our first “home”. Two dark rooms in a suburban street called The Gardens in West Harrow. Gardens which had been paved over as hard standing for dustbins in a London borough which hadn’t seen a harrow for at least a century. Mr and Mrs Smilie were retired and operated a shift system. He was around during the day and slept at night. She was up all night and slept during the day. They hated each other and did not communicate except occasionally for practical reasons as they passed on the stairs at 9.00am and 9.00pm. We shared the bathroom and kitchen and were allocated a small space in the fridge alongside the old man’s burnt sausages. Every weekend he would cook sausages until they were shrivelled and black then eat one each day for breakfast. He kept a Velocette motorbike in the hallway but I never saw him use it. He rarely went out. To this day I have not met anyone quite as mean. In the few brief months of winter when we shared his roof he would huddle by day in his parlour refusing to light a fire – he proudly announced that blankets were cheaper than coal. I kid you not. We were allowed one bath per week and could switch on the immersion heater for no more than one hour to heat the water. When he discovered that I was taking liberties by bathing on a Wednesday and a Saturday he built a wooden box around the immersion switch with a hinged door and a small padlock. We would have to ask him to unlock the “bath box” for exactly one hour, allowing 7 days between each request. Of course he suffered from his own meanness. The padlock was so cheap and flimsy that I could open it with a tiny key from a toy money box. So I would open the bath box, switch on and relock it. Twice he cursed himself for being forgetful. The third time he rumbled and our relationship deteriorated from there. It reached its nadir due to an unplanned incident when I noticed that the front door of the house had been left open. I closed it and went upstairs to our room. After a few minutes there was load knocking on the front door from both the knocker and then from fists thumping on the woodwork. I returned and opened the door to find a florid faced Smilie accusing me of deliberately locking him out. Perhaps my laughter as I walked away didn’t help repair the situation as he came careering down the hallway towards me, howling with rage, and took a swing at my chin with his right fist. Now, he was slow, old and fat. I was quick, young and nimble. Sidestepping his blow did not require great agility and he skidded on the worn linoleum straight into the kitchen, colliding with the refrigerator which fell forward, spilling burnt sausages across the floor. Apoplectic, amid my howls of laughter, he went back out through the front door and returned a few minutes later with a uniformed policeman. The sympathetic copper listened to his rant and calmed him down and I told him that I thought he had left the door open accidentally which he endeavoured to explain to Smilie. I did point out the motorbike standing alongside us in the hall and asked whether a vehicle full of highly inflammable fuel could legally be stored in a dwelling house, then I rapidly retired for an early bath. We moved out a couple of weeks later. To be fair we did have a proper honeymoon a few months later, staying for a weekend in a B&B in Bournemouth. We were drenched on Saturday night having been caught in a thunderstorm trying to find a pub. Any pub. Not an easy job in central Bournemouth which seems to have been built by Quakers. However, we did take time to send a postcard to Smilie saying “Wish you were here”. 1 Response to Honeymoon in Sri Lanka – Not us!